While the Jerusalem run has its professional side and attracts many elite runners (Ronald Kimeli Kurgat, 33, from Kenya tore through the course to take first place at the finish line in 02:18:47), the event is also a community carnival, promoting the holy city as a place open to all. Thousands of runners take part in the 2019 international Jerusalem Marathon in the Old City on March 15, 2019. Credit: Yonatan Sindel/Flash90. 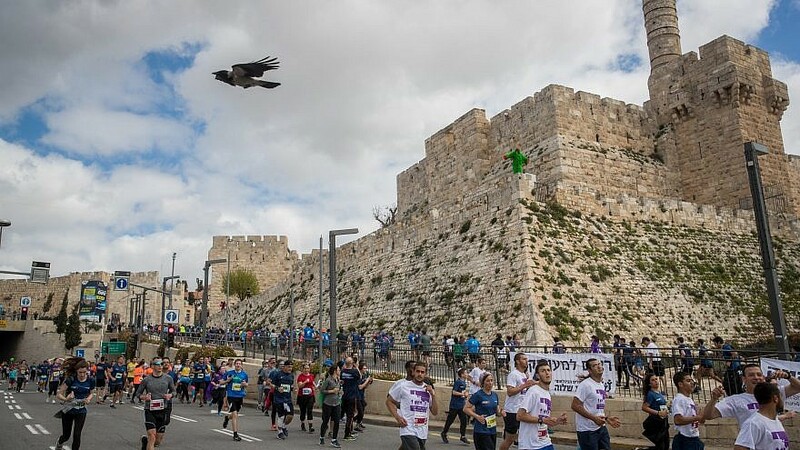 (March 19, 2019 / JNS) The ninth annual Jerusalem Winner Marathon attracted a record 40,000 runners from 80 countries who took over the streets of the capital last Friday while thousands of onlookers cheered them on. Under the marathon umbrella, most participants take part in the 10k, 5k or 1.7k family race, with many running in costume or pushing strollers. Fourteen prominent Israeli nonprofit groups organize their own teams to benefit from thousands of local runners who solicit friends and family as sponsors. This year, two American organizations, RabbisCanRun and Run for Zion, a Christian group, sponsored runners to take part. Runners from both groups raised money for a variety of Israeli social-service needs. 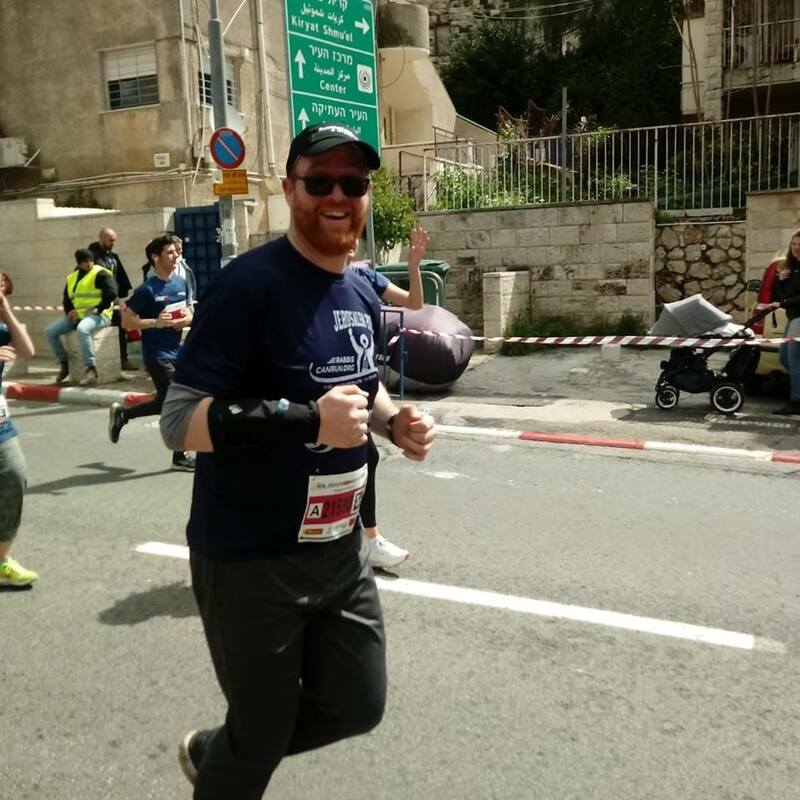 Rabbi Ben Hassan, 36, religious leader of the Sephardic Bikur Holim Congregation in Seattle, competes in the 2019 Jerusalem Marathon. Credit: Facebook. Rabbi Ben Hassan, 36, religious leader of the Sephardic Bikur Holim Congregation in Seattle, who describes himself as “very unathletic,” completed the 10K in a respectable 1:24 and raised almost $8,000 for Olami, a Jewish outreach initiative that sponsors RabbisCanRun. Other rabbis who ran under the RabbisCanRun banner raised funds for Kav L’Noar, a counseling and mentoring program for youth in distress. Elizabeth Wong, 38, a self-described Christian Zionist from Phoenix and veteran of 10 marathons, said the Jerusalem race, which she finished in 5:31:11, was the “hardest, yet most amazing and breathtaking marathon I’ve ever run.” The 18 hills of the full marathon course were challenging, she noted, despite her running experience. Wong, an advisory board member of Run for Zion, said she raised $3,500 for Israeli nonprofits, including Meir Panim and Just One Life. 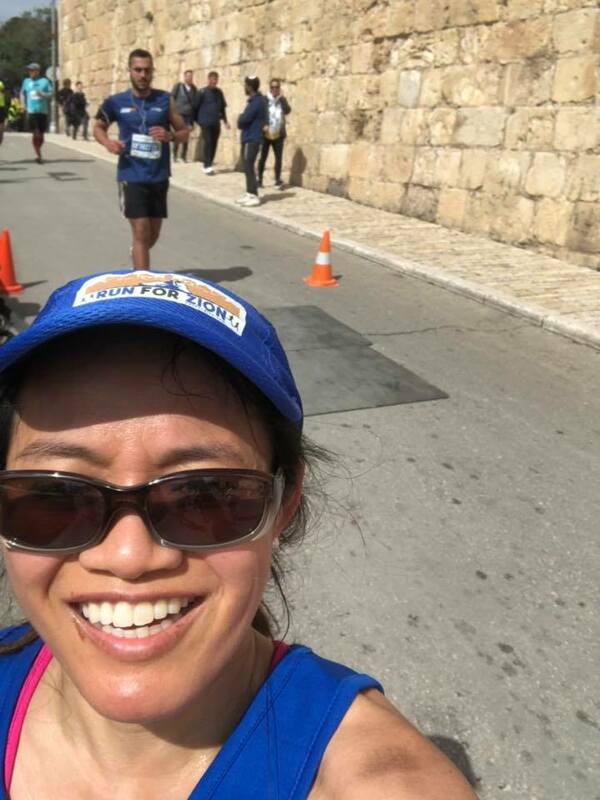 Elizabeth Wong from the Christian group Run for Zion takes a selfie during the 2019 Jerusalem Marathon. Credit: Elizabeth Wong via Facebook. Run for Zion is a project of the Israel-based Genesis 123 Foundation, headed by Efrat resident Jonathan Feldstein. Feldstein, an observant Jew, is not a runner, but his mission is to connect Jews and Christians, and Christians to Israel. Run for Zion embodies that in many ways, he said. For the 13 Orthodox rabbis who make up the RabbisCanRun team, the emphasis is as much on personal and spiritual growth as on fundraising. “It sounds preposterous that you can take a bunch of rabbis, who are not known for being fit, train them for a few months and get them to run more than 6 miles,” marvels Hassan. But under the guidance of a professional coach, Dr. Owen Anderson, Hassan and his fellow rabbis, who range in age from 20s to 60s, progressed in three months from running for one minute to pushing themselves to assault Jerusalem’s hills for many miles. The brainchild of Meir Kaniel, a running enthusiast and social worker from New Jersey who works as IT director for Olami, RabbisCanRun provided tangible ongoing motivational support and running tips for the rabbis, along with inspiration from the Torah.